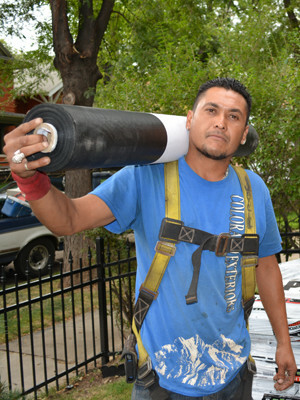 Colorado Exteriors is one of the top Denver Roofing companies serving Denver, CO and the surrounding metro areas for over 25 years. We are one of the most established Denver roofing companies and are accredited by the Better Business Bureau with an A+ rating as a roofing contractor. If you need roofing installation, roof leak repair, roofing maintenance, commercial roofing, industrial roofing, residential roofing, or any other roofing service – we are experienced and ready to help. Contact us today for a free estimate on your Denver roofing project. Contact us at (303) 296-1353 for further information or to set up an appointment for all of your Denver roofing needs.